The FCC is due to vote on exempting small cell installations from certain federal reviews on March 22, 2018. The CTIA-commissioned analysis by Accenture Strategy found that when such reviews are required, almost a third of the cost of next-generation wireless deployments go to federal regulatory reviews that the FCC now proposes to eliminate as unnecessary. These reviews cost industry $36 million in 2017, and are expected to increase over six-fold in 2018. The March 22nd FCC meeting will vote on whether to eliminate unnecessary regulations to “provide better broadband, connect under-served areas and create jobs,” according to FCC Commissioner Brendan Carr. This move by the federal agency is supposed to save Americans $1.56 billion and create more than 17,000 jobs, according to industry statistics. Backgrounder: To keep up with increasing demand for wireless data and build out 5G networks, the wireless industry needs to deploy hundreds of thousands of modern wireless antennas – small cells – in the next few years. Small cell deployments will escalate rapidly from roughly 13,000 deployed in 2017 to over 800,000 cumulatively deployed by 2026, according to the analysis. 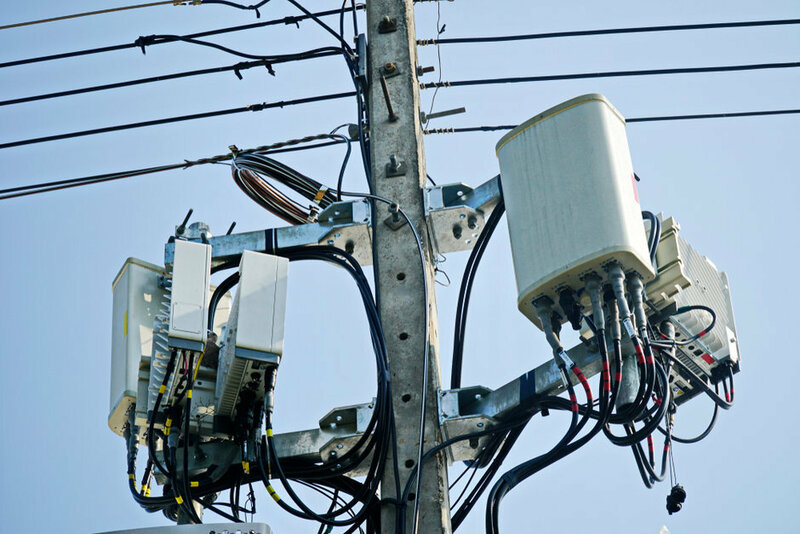 As part of the FCC’s efforts in the Wireless Infrastructure docket to streamline the deployment of next-generation wireless facilities, the agency has been attempting to identify instances in which regulatory review imposes needless burdens and slows infrastructure deployment. As part of that effort, the Commission has consulted extensively with Tribal Nations, intertribal organizations, state and local historic preservation officers, wireless carriers, network builders, relevant federal agencies, and many others to determine the steps the Commission needs to take to enable the deployment of 5G networks throughout America. This Order focuses on the types of deployments that are subject to National Historic Preservation Act (NHPA) and National Environmental Policy Act (NEPA) review, and it reexamines and revises Commission rules and procedures for such deployments. o Amend Commission rules to clarify that the deployment of small wireless facilities by private parties does not constitute either a “federal undertaking” within the meaning of NHPA or a “major federal action” under NEPA, meaning that neither statute’s review process would be mandated for such deployments. Small wireless facilities deployments would continue to be subject to currently applicable state and local government approval requirements. o Clarify and make improvements to the process for Tribal participation in Section 106 historic preservation reviews. o Remove the requirement that applicants file Environmental Assessments (EAs) solely due to the location of a proposed facility in a floodplain, as long as certain conditions are met. o Establish timeframes for the Commission to act on EAs. However, San Jose, CA, in the heart of Silicon Valley, and Lincoln, NE, an innovative university and capitol city, both could be profoundly affected if the FCC decides to “cut red tape” with modifications to small cell antenna deployment rules. Local city officials argue the regulatory process serves an important purpose. “By removing the historic and environmental review, and taking away local control, it won’t allow cities to make sure that 5G is deployed in an equitable manner for citizens,” said Shireen Santosham, the chief innovation officer for the city of San Jose. San Jose is the tenth largest city in the U.S., the largest in Silicon Valley and has a median income that is over $90,000, but has approximately 9.5 percent of the city’s 1 million residents living below the poverty line. “Currently there are more than 100,000 people in our city who do not have broadband,” she said. “Small (5G) cells will not solve the digital divide; we need to know that there will be service to rural and low-income areas,” Santosham added. The city currently has a partnership with Facebook called Terragraph, which will bring free gigabit-speed Internet to the city’s downtown public sometime this year. “This year, we launched an effort to bring autonomous vehicles to San Jose — our initial call for proposals garnered 30 submissions from leading companies around the world. We are currently evaluating a short list of companies,” she said. This technology will require 5G capability as well. David Young, fiber infrastructure and right of way manager for the city of Lincoln (pop 277,346 and home of the state’s largest university), has a similar view of the FCC’s directive. The city began its journey to 5G coverage in 2012 when Mayor Chris Beutler invested $700,000 in a conduit system for fiber optics that has since grown to over 300 miles. Because the state has banned local governments from offering municipal services such as electricity or telecommunications, Lincoln has worked hard to put together some very innovative ideas to attract private-sector investment. “The plan is to make our process fast, easy to understand and repeatable to attract investment,” he said. They have been so successful the city has managed to partner with 12 private-sector companies to keep them connected. Early in the process, Young began working with Valmont Industries, a city pole designer, to construct a functional pole that would make it easy for private companies to deploy 5G hardware. “They developed a pole that will deploy for 95 percent of their users (in other towns),” he said. The city also developed a master license agreement with the manufacturer. “It was important to get in on the ground floor with the pole company to set a standard for 5G infrastructure throughout the city,” he said. In the Internet service provider (ISP) industry, time is valuable. “If you can shrink time for the carrier, it helps the city’s partnerships,” said Young. The design process also saved the city money. “The poles cost us nothing, except my salary,” he said. “The manufacturer is selling my design to other cities.” Lincoln has a licensing agreement for 100 poles downtown and expects to install 400 in the next few years. Young said the city of Lincoln has worked very hard to streamline services for wireless providers. “We are business friendly. We have a 10-day permitting process,” he said. All standards are already online, and if the FCC rules to take away local control, it would cause deployment of the infrastructure to stop. The city has worked 100 percent with private partners in its infrastructure build-out. “Why are we not at the table with the FCC?” he asked. Like Lincoln, San Jose is eagerly awaiting 5G technology and services, especially what it might allow the public to do in the future. “Ushering in a gigabit future will no doubt have wide-ranging benefits — from enabling new advances like connected and autonomous vehicles, unlocking augmented and virtual reality and creating other new markets,” Santosham said. 1. 5G technology is in its infancy and standards won’t be completed till end of 2020. 2. How 5G will be deployed (and will cost) matters to citizens. “We still will need to see proof points around the technology,” Santosham said. “While it delivers lightning fast speed in labs and early trials, there are real-world problems of scale still to overcome,” she added. If city government is not going to be allowed to control, permit and charge fees for access to the public right of way, this will also take away the ability to incentivize companies to build out into low-income or marginalized areas, argues Santosham. Ken Pyle recently interviewed FCC Chief Ajit Pai. He wrote in an email that it sounds like what the Broadband Deployment Advisory Committee (BDAC) came up with is more guidance, instead of federal requirements, as is suggested in the article. From what I read, they looked like common sense ideas. FCC Vote Could Cut 5G Small Cell Deployment Costs for US Operators:5G is the motivation for the FCC’s order, as it expects AT&T and Verizon to deploy “10 to 100 times more antenna locations than previous 3G and 4G networks” with carriers deploying more “small wireless facilities” in the next three-and-a-half years than the “macro facilities” (cell towers) that the industry has deployed in the past 35 years. The agency argues that such NEPA and NHPA are not currently applied to other small facility radio equipment such as WiFi routers and consumer cell signal boosters. the FCC order says that National Environmental Protection Act (NEPA) and National Historical Preservation Act (NHPA) review rules — passed in 1969 — should only apply to macro cell sites rather than localized small cells and distributed antenna systems (DAS), which the FCC says are used indoors — in spaces up to the size of a stadium — or in local outdoor areas. As expected, the FCC has voted to streamline the federal review process for the deployment of small cells, aiming to speed the rollout of 5G in the next few years. The vote Thursday was once again along party lines: 3-2 in favor of the so-called “5G-ready” rules. Federal Communications Commission (FCC) Chairman Ajit Pai and fellow Republican Commissioners Michael O’Rielly and Brendan Carr approved, while Democratic Commissioners Mignon Clyburn and Jessica Rosenworcel dissented.